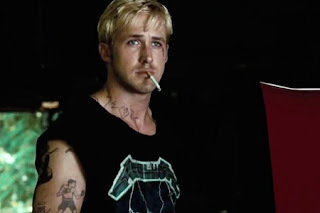 Starting out with my pick of the week, we have the excellent The Place Beyond the Pines. It's director Derek Cianfrance's second picture and sees him moving in a completely different direction from the low-key relationship strife drama of Blue Valentine. Set in the small upstate New York town of Schenectady, it tells three interconnected stories - the first the tale of a former motorcycle stuntman who turns bank robber to provide for his son, the second an examination of police corruption and the third, set some years after the first two stories, which examines the ways in which the sins of the fathers are revisited upon their sons. It's a gripping, tremendously well acted movie (with fine performances from Ryan Gosling, Bradley Cooper, Eva Mendes and Dane DeHaan), featuring some stunning cinematography and tense set pieces. It hasn't been a vintage year to date, but The Place Beyond the Pines moves straight in at number one on my running list. (Nudging just ahead of Zero Dark Thirty). Moving on, I caught up with a couple of old favourites this week - having seen both Gremlins and Airplane! on numerous occasions, I can confirm that they stand up to repeat viewings. Both are highly amusing, but in different ways; Airplane! offers up a madcap, gag-a-minute style of comedy that never fails to crack me up. Even though a few of the references in the movie are a little dated now, there's still a huge amount to enjoy here. 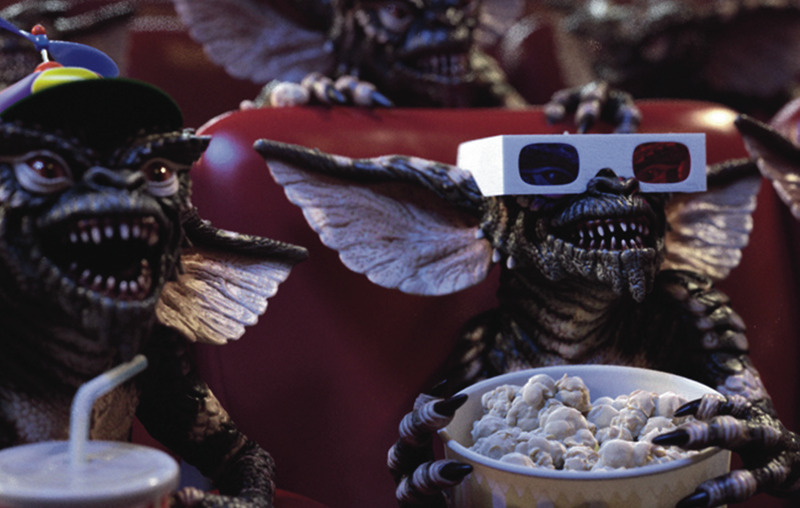 Gremlins is darker, but more subversive, setting up an idealised version of the American small town so beloved by Ronald Reagan, then getting a hoarde of vicious, chain smoking, anarchic little critters to tear that town to pieces. The one real disappointment this week was The Perks of Being a Wallflower, a high school drama in which a lonely outcast finds his niche as part of a group of artsy, theatrical students. I suppose I'm too far removed from my teenage years to really appreciate this kind of movie now, but I just found the central characters too precocious by half. As a group of hyper articulate, massively self confident and hugely photogenic geniuses, they certainly didn't resemble any of the outcasts and losers I came across in high school in real life. That's not to say that the film is worthless - the acting isn't too bad, and there's a decent collection of songs on the soundtrack - but if I want to relive my adolescence again, I think I'll stick to watching Dazed and Confused or reading The Catcher in the Rye. "Dr. Rumack: What was it we had for dinner tonight? Elaine Dickinson: Well, we had a choice of steak or fish. 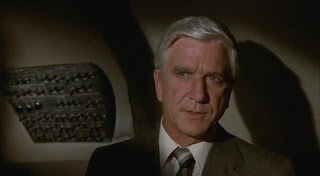 Dr. Rumack: Yes, yes, I remember, I had lasagne." I'm not sure if I agree with your assessment on Perks of Being a Wallflower. The articulacy and self-confidence was more of a defence mechanism or armour for otherwise vulnerable people like Patrick and Mary Elizabeth, and considering it's a film told from the perspective of Charlie, perhaps the characters appear more intelligent in his eyes than they actually were.